Arne Sunde, the incoming Editor-in-Chief, has appointed Tom Kelsey as Associate Editor of Human Reproduction Update. Human Reproduction Update is the leading journal in Reproductive Medicine, with an Impact Factor of 11.852. The journal publishes comprehensive and systematic review articles in human reproductive physiology and medicine, and is published on behalf of the European Society of Human Reproduction and Embryology (ESHRE). The Associate Editor system at Human Reproduction Update has been in place since the beginning of 2001 and it has a significant positive effect on the quality and dynamism of the journal. In the ISI JCR Global Ranking for 2017, Human Reproduction Update is ranked first of 29 journals in Reproductive Biology, and first of 82 journals in Obstetrics & Gynecology. 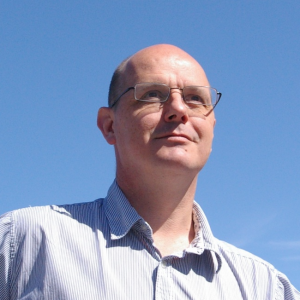 Tom Kelsey has published extensively in Human Reproduction Update and its sister journals Human Reproduction (impact factor 4.949) and Molecular Human Reproduction (impact factor 3.449). He is also Associate Editor for the Open Access journals Frontiers in Endocrinology and Frontiers in Physiology. He is a regular reviewer for these journals and also the British Medical Journal, BMJ Open, Health Education Journal, Nature Scientific Reports, PLOS One, Mathematical Medicine and Biology, Systems Biology in Reproductive Medicine, and the European Journal of Obstetrics & Gynecology and Reproductive Biology. The St Andrews Programming Competition 2014 is a friendly programming contest organised by the School of Computer Science for students belonging to all levels, coming from any background with any amount of programming experience. Team up with up to 3 members per team, compete for 3 hours by solving a set of programming problems using your favourite programming language and win £200 worth of prizes. Generally, programming competitions are aimed at the best programmers, this is a first-of-its-kind competition where students from all levels with any amount of programming experience stand a chance to win a prize. 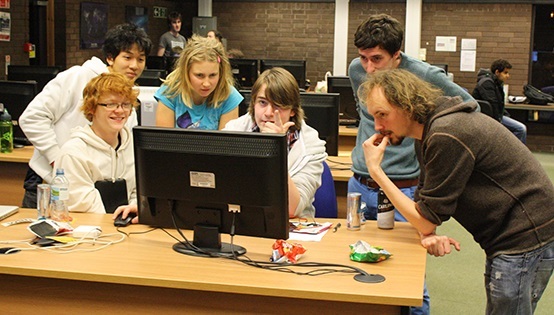 Another unique aspect of this competition is that it has also open to members of staff from the School of Computer Science, making this a fun experience and a bonding opportunity for staff and students. Students can use this opportunity gain valuable exposure to solving quick algorithmic programming questions – of the style that may come up in job interviews, where candidates are required to solve problems on the fly while being observed. Such interview practices are common among many companies nowadays including Google. The event, prizes and refreshments will be sponsored by AetherStore.